NEW DELHI, July 11. /TASS/. India is boosting negotiations with Russia on joint development and creation of the fifth-generation fighter (FGFA – Fifth Generation Fighter Aircraft) and is ready for the sides’ equal contribution to the project worth $4 billion at the stage of development work, The Times of India newspaper reported on Monday with reference to the Indian Defense Ministry. India is finally taking forward the negotiations with Russia on stalled mega projects to jointly develop a futuristic fifth-generation fighter aircraft (FGFA) as well as upgrade its existing Sukhoi-30MKI jets into ‘Super Sukhois’ with advanced avionics and weapons, the article says. Though India and France are now close to inking the estimated €7.8 billion deal for 36 Rafale jets, the Defense Ministry acknowledges that just 36 fighters will not be enough to stem the country’s hemorrhaging air combat power. The IAF is down to just 33 fighter squadrons – including 11 obsolete MiG-21 and MiG-27 squadrons slated for retirement – when at least 42 are required to keep the “collusive China-Pakistan threat” at bay. The “multi-pronged strategy” to progressively crank up airpower ranges from inducting the indigenous Tejas light combat aircraft to exploring a second line of fighter production in the country, with the American FA-18 and F-16 as well as Swedish Gripen-E already in contention for this proposed ‘Make in India’ project, The Times of India writes. Apart from these 4th-generation fighters, the Defense Ministry is now finally working towards inking the final R&D design contract with Russia this year for the Indian “perspective multi-role fighter”, a variant of the Russian single-seat FGFA called Sukhoi T-50 or PAK-FA. “Apart from resolving technical and cost issues, Russia has also agreed to allow IAF test pilots to fly its prototypes now,” said a source. 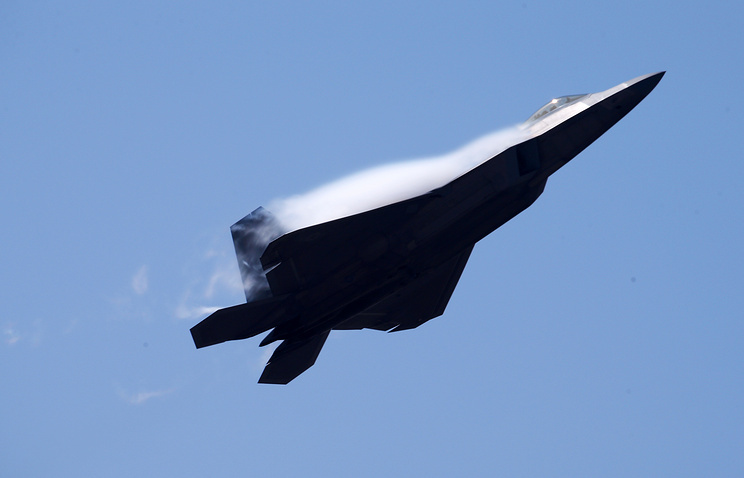 The final R&D contract for the FGFA was on hold till now despite the two countries having first inked an inter-governmental agreement in 2007 and then following it up with a $295 million preliminary design contract in 2010, as was earlier reported by The Times of India. Under the main design contract to be executed in over six years now, India and Russia will chip in around $4 billion each for prototype development, testing and infrastructure build-up. The overall cost for producing 127 of these single-seat fighters – which will combine stealth, super-cruise and multi-sensor integration – in India will be about $25 billion. Amid all this, the Indian Defense Ministry is also trying to ensure “maximum operationally availability” of the existing fighters at any given time. Defense Minister Manohar Parrikar, for instance, says serviceability of Sukhois has jumped to 60% now from an alarming 46% earlier. “The aim is to achieve 75% serviceability. This has been done with an active tripartite dialogue among Russia, Hindustan Aeronautics (HAL) and IAF to ensure better availability of spares and maintenance for the Sukhois,” a source said. This, in turn, has led to renewal of the plan to upgrade the jets into `Super Sukhois’, with advanced AESA (active electronically scanned array) radars and long-range stand-off missiles. “The technical requirements should be finalized this year, with the contract being inked next year,” said the source, according to The Times of India. The FGFA fighter is developed based on the Russian PAK FA (Prospective Airborne Complex of Frontline Aviation or T-50) jet in accordance with the Indian side’s technical requirements. In particular, the design and development of a two-seater version of the aircraft, the integration of an advanced engine with increased thrust are planned at the request of India.